Nails are a great way to express your mood and personality in a subtle way. I don’t know about you, but when my nails are painted, my mood always shoots up a few notches. The color and that smooth shiny feel makes me feel like I have my life together. Painting my nails is kind of therapeutic for me, and sometimes can be a creative outlet (if I’m feeling really ambitious). Lately I’ve been really into the marble, tie-dye look. When I first saw this I was obsessed…I loved the blend of colors – and tie-dye in general! My initial thought was that my nail-painting ability was not on that level, but when I tried it out it was surprisingly not as difficult as I thought it’d be! 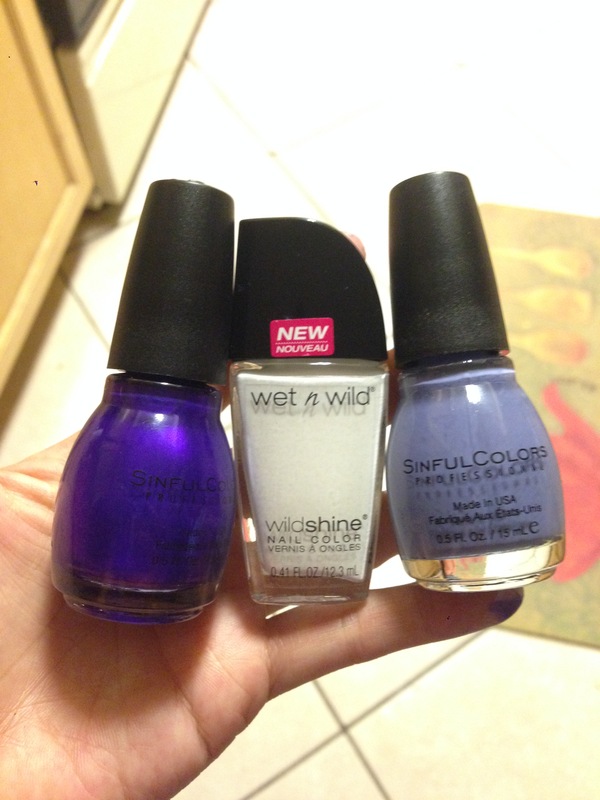 For the nail polish colors, I found it’s best to pick 2-4 colors. Too many colors makes it hard to see each layer, so the less you use the more distinct each color will be. I used 3: a bright purple, grayish purple, and white. Once you’ve got your colors together, fill your container of choice with water. I used a red solo cup and cut off about an inch so I had a little cup of water. First off, paint your nails white. This will help the colors pop and stay on the nail. Now to get started on the cool part! 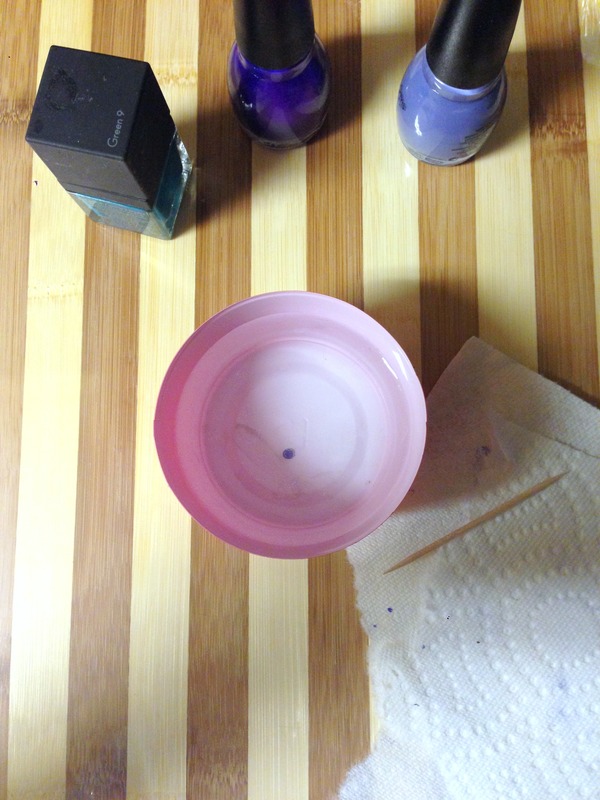 Take your first nail polish color and drop one drop into the water. the color will expand once it hits. 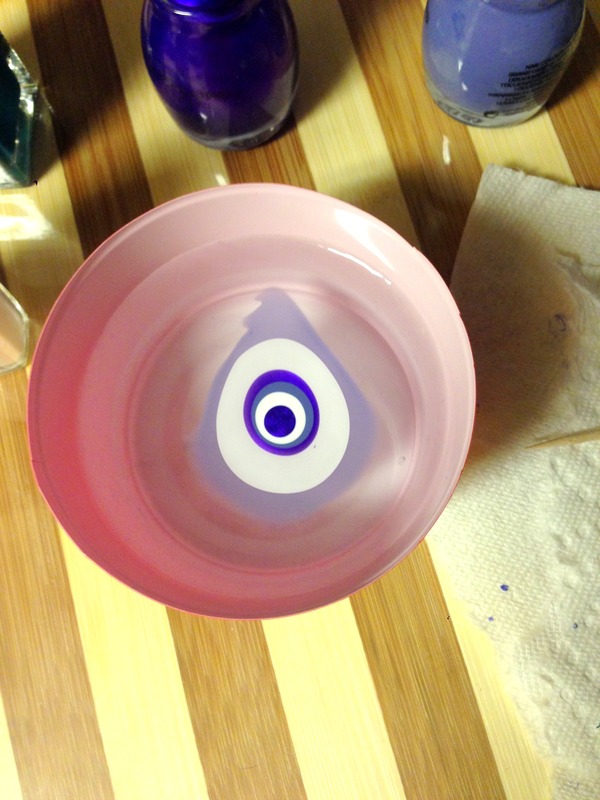 Immediately take your next color and drop it into the first color, and so forth. You should end up with rings of your color. Once you have all your colors you want in there, take your toothpick and drag it through the ring of colors to make a swirly pattern. 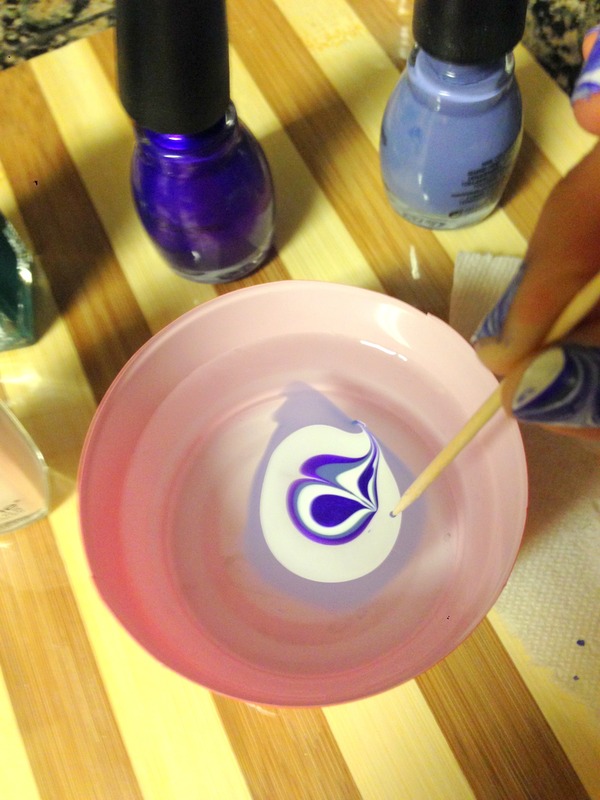 Now to get that tie-dye on your nails. Make sure you have your toothpicks and a paper towel handy because it can get a little messy! 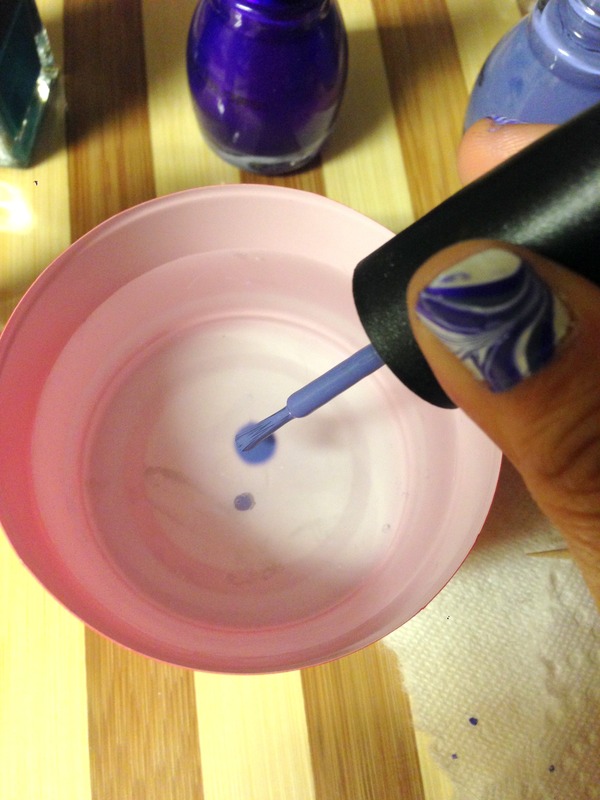 With your nail face down toward the water, dip your nail into the marble pattern you created in the water and immediately scoop your nail back out. You should see the pattern stick to your nail. You can use your toothpick to move the unwanted parts away from your nail. If it’s your first time around, it’s best to do one nail at a time until you get a hang of the process. 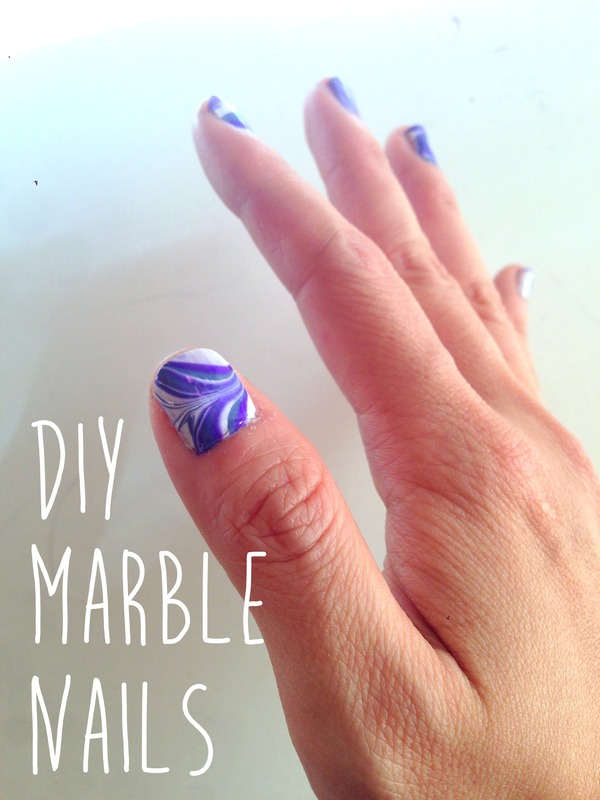 Eventually you’ll end up with marble color all over your fingers, but don’t worry! 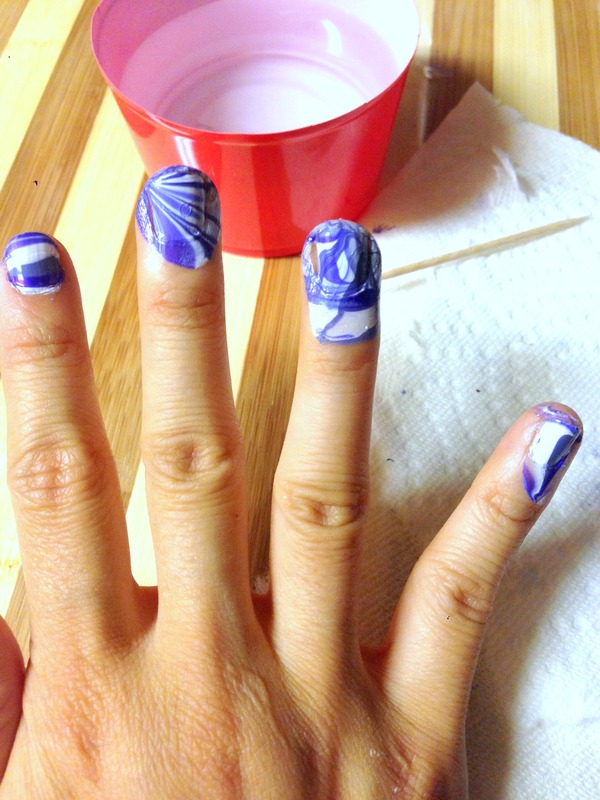 You can just wipe off the excess on your fingers with q-tip and nail polish remover. The final touch is a solid over coat to make sure your masterpiece and hard work doesn’t chip away. And there you have it! My favorite thing about this is that every nail looks different. The patterns all turnout unique, but still look great together. 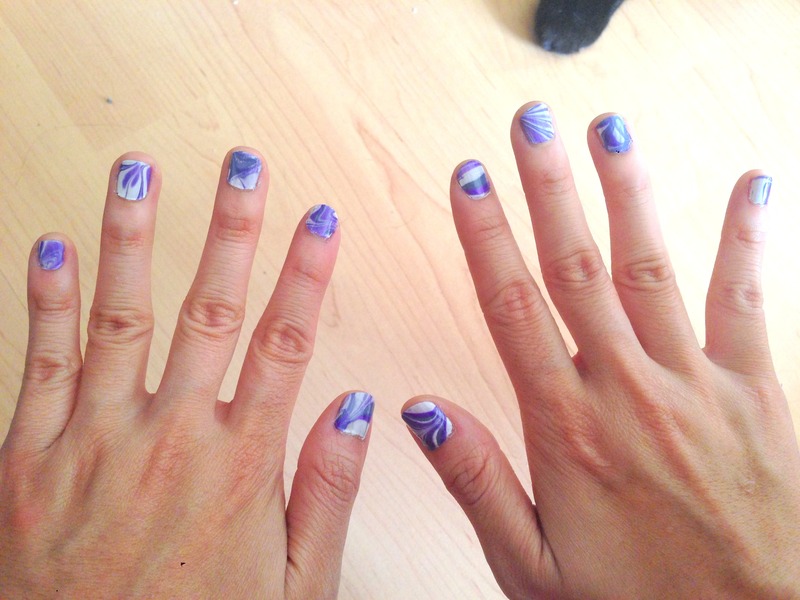 You can try out different colors and patterns together for some cool-looking nails.